Eight years ago, Angie Roberts’ husband suggested she find a hobby. She liked the idea, chose quilting, and hit the ground running. Today, Roberts is the owner of a quilt shop in Elk River called The Noble Quilter. The shop carries over 3500+ bolts of fabric as well as notions, books, and patterns. Classes and special events are also offered. The Noble Quilter is a part of the Quilts of Valor effort, which provides quilts to soldiers, and the Home of the Brave Quilt Project, which presents quilts to the families of fallen soldiers. As for philanthropy, The Noble Quilter sent 50 pillowcases to an orphanage in Thailand. 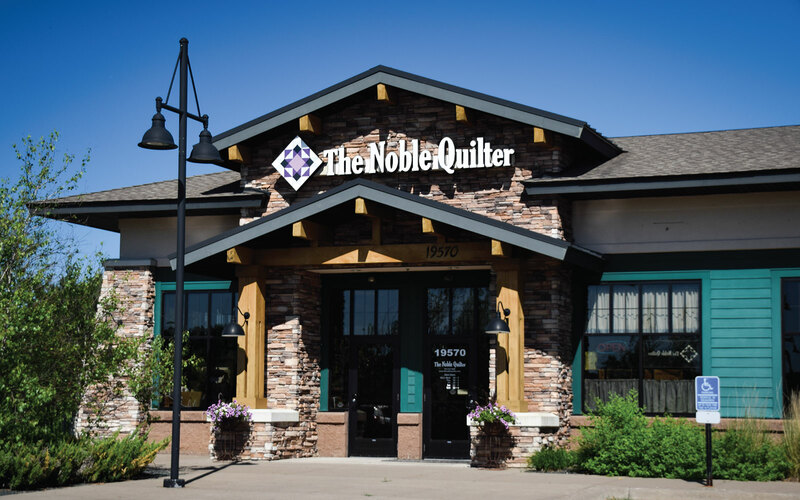 All of the philanthropy and community service tie in with the shop’s name, The Noble Quilter, which means a person of integrity, graciousness, courage, and dignity. These are the values that we embody as a business. Roberts’ goal has always been to provide a warm, welcoming atmosphere where people can get friendly, knowledgeable advice and grow in their creativity. “I try to treat my customers how I would want to be treated,” she explained. At The Noble Quilter, we guarantee to provide you with a warm, welcoming atmosphere coupled with the highest quality fabrics and patterns as well as education as it pertains to quilts, creativity, and comfortability. Our shop address is located at 19570 Holt Street NW in Elk River, MN. We are located on 169 North, at the last stoplight heading north out of Elk River (197th Ave NW). You will see Menards and the Harley Dealership on the right; we are located on the left hand side in the Pearle Vision Center building, which is next to the Aldi grocery store and Goodwill.